DesignApplause | riedel amadeo decanter. Brilliant and spirited, like a Mozart piece come to life, the Amadeo decanter named in the composer’s honor is a lasting work of art. 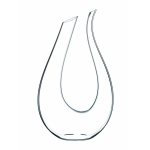 Mouth-blown of leaded crystal by master European glassblowers, the decanter forms a U-shape unlike any other made by Riedel, appropriate for its role as commemorative decanter for the innovative Austrian company’s 250th anniversary. 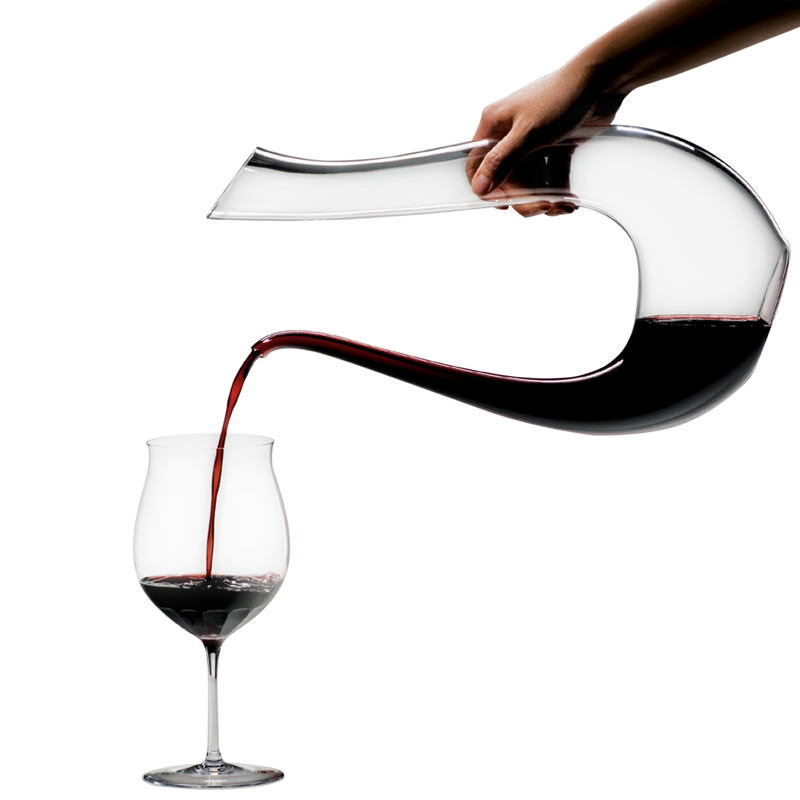 A full bottle of wine may be decanted into the wider side of the graceful U, which then serves as a handle for pouring the wine into glasses out through the narrower opening. The angled tops of each side perfectly align in a visual plane, a crisp counterpoint to the fluidly curved belly. A decanter allows either a young or old wine to fully develop before drinking. 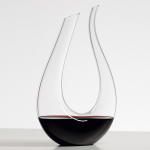 The Amadeo decanter, a superb gift for the wine connoisseur who also appreciates modern design, holds a full capacity of 59 ounces, and measures 13-7/8 inches in height. 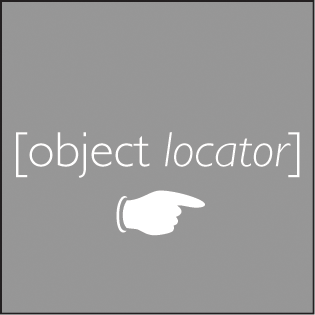 An opaque black version is also available. 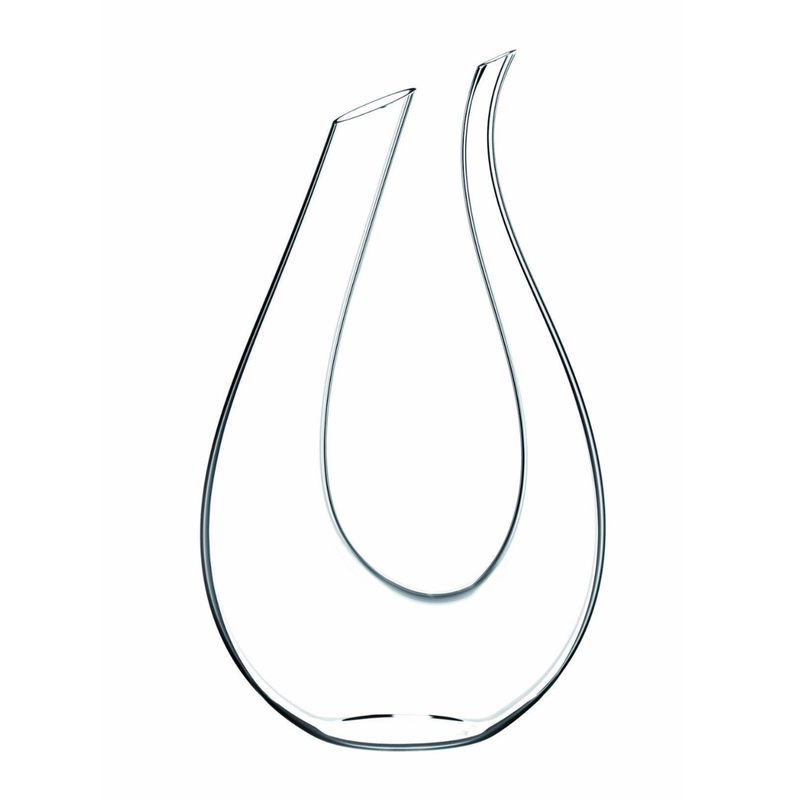 To preserve the clarity of the fine Riedel crystal, the decanter should be carefully washed by hand in hot, soapy water and allowed to air dry.